Rainfall is an imperative producer of readily available water and is of great importance to most economies of the world. Similarly, for the Indian economy, especially for agribusiness, Indian rainfall is a serious entity. Indian rainfall in the months from June to September constitutes approximately 80% of the annual rainfall. This rainfall is highly variable over space and time, which causes floods or droughts in various parts of the country. Thus, a thorough study of rainfall variations and the factors that affect rainfall is required. Therefore, the objectives of the present study are (a) to analyze all-India rainfall along with its subdivisions (northwest, west-central, northeast, central northeast, and peninsular India) and (b) to determine correlations between rainfall and the Southern Oscillation Index (SOI) for three different subperiods: 1949–1965, 1966–1990, and 1991–2016. 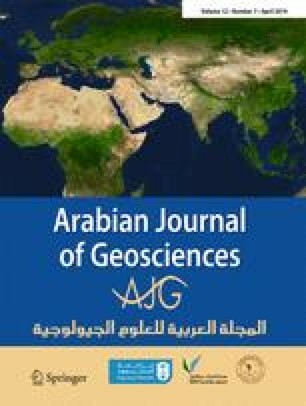 The statistical analysis of rainfall data and the regime shift analysis method form the basis of this analytical study. Our results showed a significant downward trend in rainfall from July to October for 1949–2016. The monsoon season (June to September) showed a strong positive correlation with SOI for the subperiods 1949–1965 and 1966–1990, which weakened in the period 1991–2016. The rainfall from October to December showed a strong positive correlation with the SOI during 1949–1965 that weakened in the later periods. This study’s results are helpful for decision makers, planners, agriculturists, hydrologists, and other experts for the proper management of water resources. We thank the IRI Data Library, which is an authoritative and freely accessible online data repository and helps the user to view, download, and analyze the reanalysis climate data. We are very thankful to the Indian Meteorological Department for providing the rainfall data. A big thanks to Dr. Gnanseelan for his motivation. We also thank Dr. Ashwini Ranade for her support and guidance. We would also like to thank the Department of Physics and the Department of Civil and Environmental Engineering, B.I.T, Mesra, Ranchi, for their cooperation.